24 Nov WHY IS IT WORTH TO SKI? The number of arguments encouraging to ski is as much as the number of skiers For some people the most important is active life style and opportunity to train body. The others lay emphasis on fat burning and general appearance. For another people mostly precious is opportunity to spend time with friends and a chance to meet new, interesting people. Every of these motivations is true. Skiing, as well as any other form of spending time in mountains, slips away from simple definitions. Skiing is a connection of emotion, art and technique. At the same time, this is basic rule which inspires our instructors. Everything that is the most beautiful in skiing is connectd to nature. Anybody who does not love mountais honestly and does not try to understand them, cannot count that he will be in control of skis. This is understood for everybody who, at least once, had an opportunity to stand on Rafaczówka slopes on Harenda. The picturesque ski slopes tempt and invite to try your hand at skiing. Our instructors’ task is to help every person, willing to experience ski adventures, with realization of dreams. The people conducting in HSKI ski courses and trainings are experienced instructors who worked with skiers at various skill levels. On ski slope every skier is worth the same. 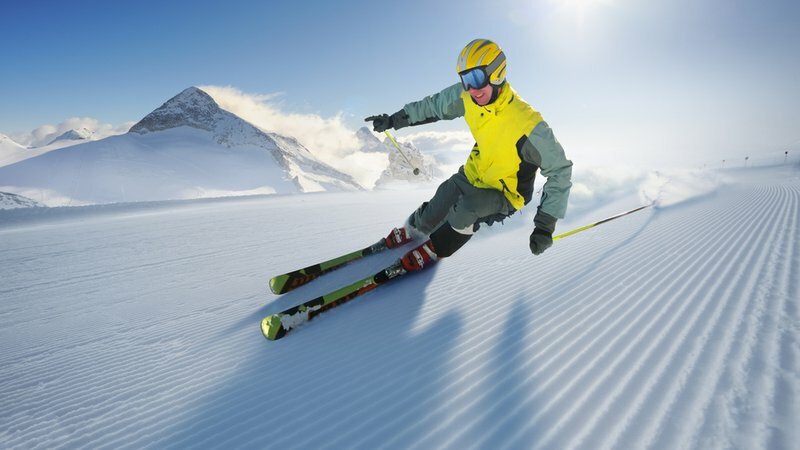 It is not important, if learnt technique allows him to ski on green pistes or if he can try his hand on black pistes, dedicated to advanced skiers. At any stage of skiing there is something that you can improve, suggest or correct. Individual approach to every person is the basis of effective training. The most important ability that can be aquired on ski slope is acceptance of own deficiencies, connected with desire to eliminate them. Even after several dozen of runs you cannot believe that you know the piste well enough to let yourself on routine. Then the simplest ski slope may punish the perfect, but too confident, skier. We teach concentration, appropriate interpretation of reaching signals and ability of proper using of assimilated during trainings technique. We attempt to show how beautiful may the ski frenzy be and use various forms of training, which allow to reach out to every participant of ski course, regardless of his age, abilities and real skills. Skiing is full of contradictions. To be able to ski fast, it is necessary to learn braking – both active and passive or corrective one. Good technique of skiing constitutes only an element of actual skills of every skier. The real work of art depends on intuition of own abilities and capability to cut your coat according to your cloth. On the ski slope responsibility matters. For yourself and for the others. For this reason, a professional training, under the watchful eye of inctructor, is so important.